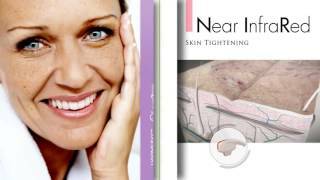 LASER SKIN REJUVENATION - Painless, Quick and Lasting! Rejuvenation is the process of restoring to a new or more youthful appearance, and that’s exactly what our treatments aim to do for your skin. From wrinkle reduction to acne to skin pigment color correction, we are able to treat a range of conditions with the latest FDA-approved technologies. The techniques involve using various state of he art techniques such as Alma IPL Lasers for skin color, tone & texture, and Pixel Fractional Laser for resurfacing and remodelling, Eclipse Micro Needling with PRP/Growth Factors and Stem Cells for natural glow and prescription grade Skin Care products. Our light-based treatment programs take advantage of the next generation of Intense Pulsed Light (IPL): Advanced Fluorescence Technology (AFT™*). By using specialized handsets and precisely controlling the amount and intensity of light, we are able to effectively treat problem areas with pulsed light – without damaging healthy surrounding skin. With a combination of AFT, laser, microdermabrasion and ultrasonic facial therapies, this system restores elasticity, shine and firmness to skin suffering from collagen degradation and lack of moisture. This breakthrough anti-aging treatment promotes skin regeneration! Use in conjunction with your treatments the CosMedic Laser Clinic Anti-Aging Kit! Corrects and revitalizes damaged skin through an optimal blend of AFT, microneedling and erbium laser facial therapies. This system restores the overall texture and tone of your skin while aiding in the reduction of discoloration and fine lines. Use in conjunction with your treatments the CosMedic Laser Clinic Repair Rejuvenation Kits such as Remergent DNA and RNA Repairs and No Needle Meso therapies to deliver very deep into skin the nutrients and collagen to rejuvenate your skin like you had you skin decades ago. We use AFT for skin rejuvenation, vascular and pigmented lesions, hair removal and treatment of active acne. AFT is the next generation of multi-application pulsed light technology. Its breakthrough design converts unused UV light into the optimal spectrum for each application. This dramatic boost in efficiency also extends the life of the pulsed light handpiece (up to three times longer than that of other pulsed light systems), which significantly lowers the cost of ownership. The unique shape of each AFT pulse limits peak power to only the therapeutic range, which precisely heats its intended target with remarkably little or no skin damage or discomfort. An advanced algorithm stabilizes each pulse to ensure predictable, reproducible treatments that are safe and effective. AFT spectra precisely target unwanted blood vessels and melanin, while it gently preserves surrounding tissue to leave skin soft and smooth. AFT users report progressive improvement over several treatments and outstanding results. 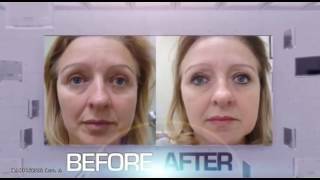 Patients often claim to look naturally younger and healthier, without the artificial look of other cosmetic treatments. We use the Pulsed UVB handpiece to treat leukoderma and restore lost pigment, including vitiligo, as well as psoriasis, atopic dermatitis (eczema) and seborrheic dermatitis. Like traditional UV phototherapy, competitive broadband UVB light sources require patients to expose both affected and healthy tissue to ultraviolet light. Pulsed UVB technology targets only the affected area, which minimizes the risk of injury to surrounding tissue. And unlike narrowband 308-nm excimer lasers, Harmony's Pulsed UVB hand piece's output is 40 x 16 mm, shortening treatments to just a few minutes. Our patients a more youthful appearance with the Alma Pixel 2940 Erbium Fractional Skin-Resurfacing Laser on Harmony. This is also very effective in acne scars, reduce pore size, wrinkles and build loss of collagen due to aging by remodelling of skin. A series of two to four virtually pain-free treatments will gradually stimulate new cells to replace aged and photo-damaged skin, with no patient downtime. Delivers deep dermal heating that induces neocollagenesis using the Near-infrared Skin Tightening Skin Tightening (ST) handpieces on Harmony. A series of three to six treatments produces a tighter, fresher appearance - without pain or invasive procedures. Finally, there is an art to Laser Hair Removal treatments - to achieve the best, most lasting results it must be done by an experienced aesthetic surgeon in bay area Dr. Neema Malhotra. All laser procedures are done by Dr. Malhotra. Call us for FREE consult today at 408-674-6500. We do not have sales staff or consultants; all consults are personally done by Dr. Malhotra to determine what treatment will work best for you to meet your expectations.